Hi everyone! I have a fun card to share today. 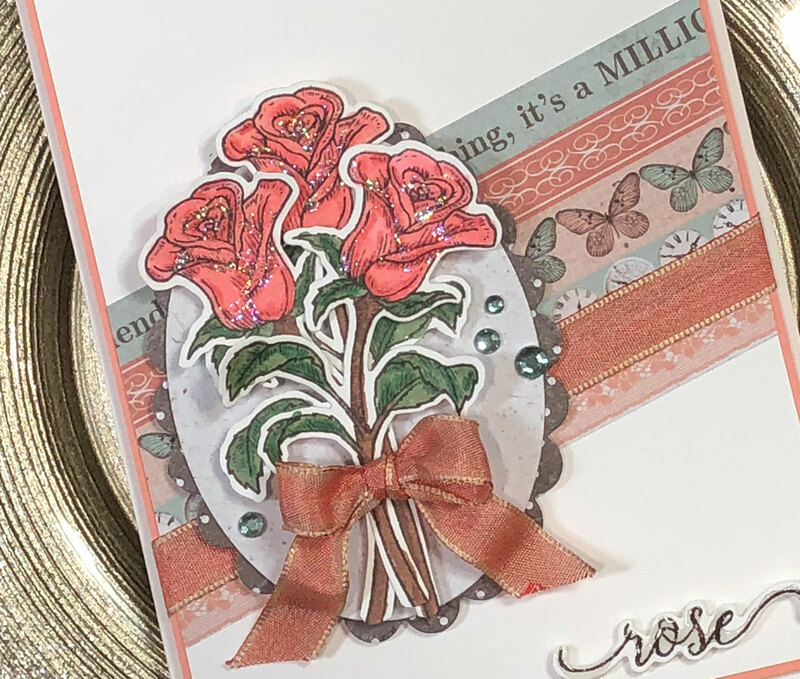 I pulled out the stamp and die set Thinking of You Rose by Stamp Simply Clear Stamps and the store's new Coral Ribbon Sampler! I love each and every one of the ribbons in this sampler, keep reading for more info about them. I colored the roses with my copic markers and added some stickles to the rosebuds for the perfect amount of bling. 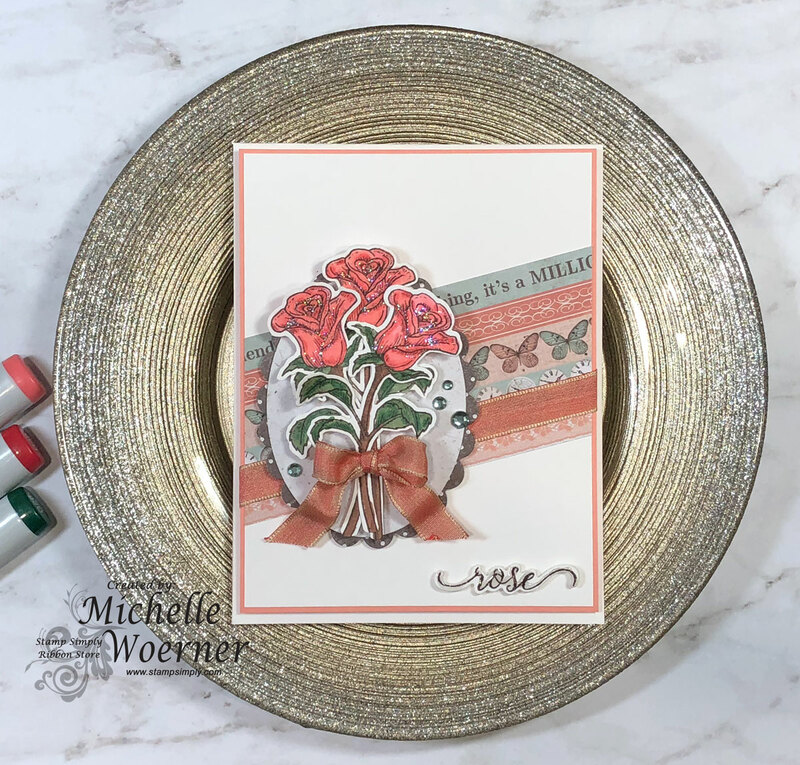 The patterned paper in the background is from the Kaisercraft Ooh La La pack and I trimmed it on a diagonal and added a piece of the ribbon for some texture. I used the Bow Easy to make the perfect little bow and because it's a wired ribbon, it keeps its lovely shape. I added some Glossy Accents over the sentiment for dimension. 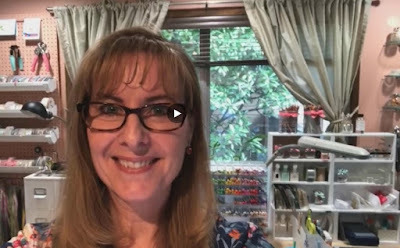 I did a Facebook live video today over on the Stamp Simply Ribbon Store page. I showed all the gorgeous ribbons in the new Coral Ribbon Sampler as well as several projects using them. Including this card!